In 2000, Bof! 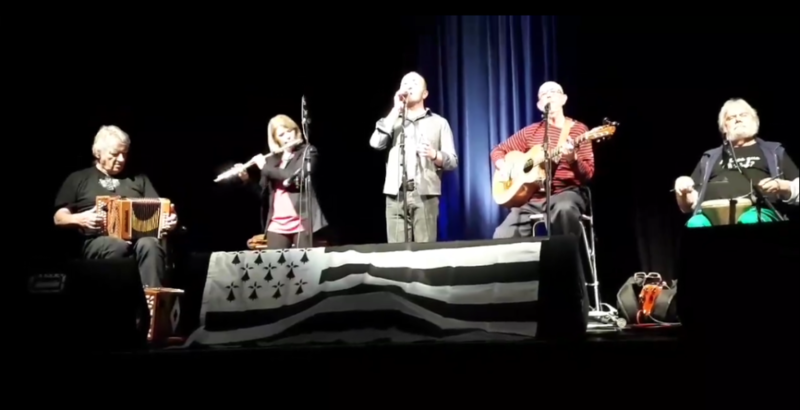 started playing as a four-piece band specializing in traditional French and Breton music for dancing or listening to. 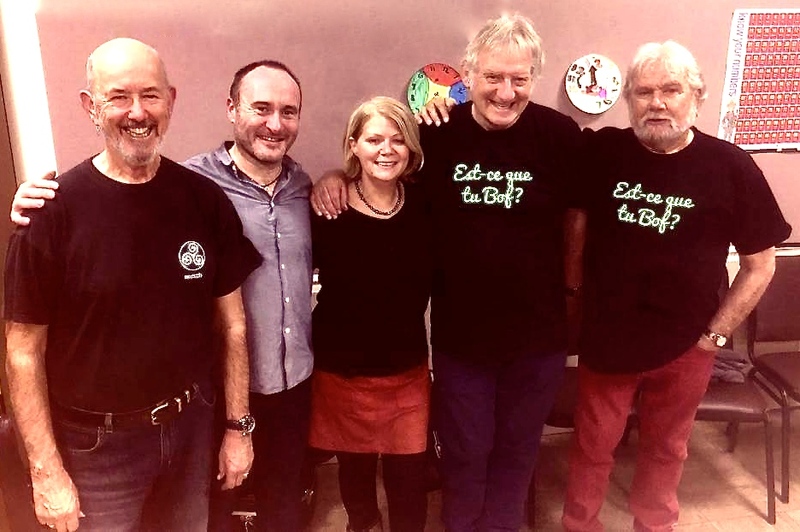 During that time we have played in folk clubs, for dance groups and at festivals in England and France, as well as organising regular French and Breton dance workshops and public dances in East Anglia, as part of the Burybal and Prêt à Danser groups. Breton singer Gwendal Moële became a full-time member of our line-up in 2018. The band’s repertoire is mainly traditional music from Central France and Brittany, but also includes compositions by members of the band and others. We have made five CD recordings of our music: see our Music page. Concert spots: from 30 minutes to full-length folk club sets, for example 2 x 45 minutes. Bals incorporating dances from Central France: Bourrée, Schottische, Mazurka, Polka, Waltz etc. Breton Fest Noz: Gavotte, Hanter dro, An dro, Rond de Saint Vincent, Plinn etc. A comprehensive programme of French and / or Breton dance workshops from Beginner to Advanced level. Our instructors, Phil and Linda Lyons, are highly experienced dance teachers. Anost, Festival du Pipasso, Verteillac, Poix de Picardie, . If you wish to get in touch, you can find details on Contact page.